“C.Z. 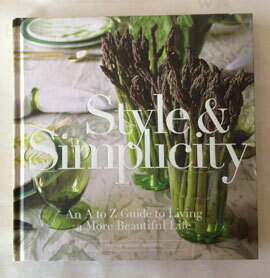 Guest: American Style Icon” the latest book by stylish Susanna Salk, is a look at the magical world of C.Z. I say magical, because I have know of C.Z. Guest since I was a kid growing up in the Midwest, and any time I would read about her, the rarified air she moved in seemed magical to me at the time. Perfect homes, perfect clothes, perfect trips. The book she wrote in 1976 “First Garden: An Illustrated Garden Primer” which was illustrated by Cecil Beaton, with the introduction by Truman Capote, was a gift to me in my youth by a family friend. That cemented my love of all things C.Z. Even at the age of 12 I had a keen appreciation for living well. Of course, as I have progressed in age, I know that nothing is ever quite perfect (which is what makes life much more interesting) and I am sure she had flaws. They just were rarely seen. This book is a look at the magical stuff which is pretty darn lovely. I had the pleasure of meeting the author this Spring when I attended an event in Los Angeles. She has composed and captured a wonderful trip through the life of C.Z. Susanna has also been so kind to send me signed bookplates, so each of the copies we sell at Watson Kennedy will be signed by her. You all know, this is a special touch I love to add if possible. This is just a cool book to have set out on the coffee table for when you want to take a special trip into the world of an American style icon.